I was a young reporter for the Middletown Press when it moved from its hole-in-the-wall location on the north end of Main Street to a new building on the south end that would have been the envy of any small-city newspaper. Little did I know that I had seen the paper at its zenith during my brief stay there. The building would be torn down shockingly soon, and now the cost-cutting chain that acquired the Press has abandoned Middletown altogether; the paper’s greatly diminished staff operates out of New Haven. So it goes in the newspaper world. Yet print is not dead, as I’ve said before in this column. Newsstands are packed with magazines, which offer a reading experience that, unlike a newspaper, is not so easily replicated online. But any print publication needs to gauge its effectiveness regularly, and with that in mind, we recently asked a representative and randomly selected pool of our alumni audience some questions designed to tease out the relevance of this magazine. The results are enlightening. The magazine continues to be well read: 90 percent of respondents reported that they read it at least occasionally and nearly half read it very often or always. 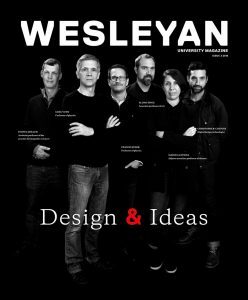 A majority of alumni, 66 percent, rely on the magazine as their most significant source of information about the university, and almost seven out of 10 say that it strengthens their connection to Wesleyan. There is no more compelling rationale for investing university resources than that fact. The more challenging news comes when we look at responses by age cohort. In short, the younger you are, the less likely you are to be engaged with the magazine. This is not a surprising result; a national compilation of college and university magazine surveys also found diminished interest in younger alumni. We are using the feedback we got to improve our relevance to younger audiences while keeping what works well (Class Notes, for example). 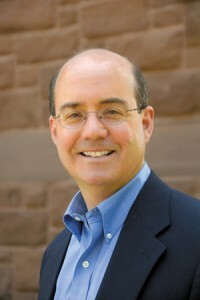 The good news is that Wesleyan also has strong outreach through social media and e-mail (the Connection, for example) that appeals to all demographics. We also asked for open-ended comments, and we got a lot of them! Thoughtful readers urged us to make more use of online avenues for delivering our material, to embrace debate on important and controversial issues, and to address difficult campus topics head on, to use more photos, and to make a greater effort to capture the interest of younger readers through design and content. We have abundant good advice as we work our way through a redesign process. We continue to believe that the magazine’s primary mission is to tell the story of how faculty and students are advancing liberal education and how alumni are using that education to change the world for the better, but we also are considering ways to reshape our approach to align better with what you say you want. We welcome further conversation from you at letters@wesleyan.edu. Thank you.